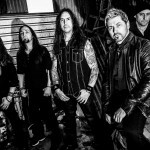 Share the post "Interview: 10Q’s with STORMZONE"
We’re ramping up to a really busy period towards the end of this year and throughout 2014 – in fact, it might be the busiest we have ever been. After releasing the video for Three Kings a few weeks ago, things have really taken off in locations we’ve been really interested in but where we have struggled to gain a foothold previously. North and Central America especially seem to have latched on to something about this new album. As a band, we’ve traditionally been quite Europe-focused, but this has blown things wide open for us as far as festivals and touring goes. So there is plenty in the pipeline with all manner of things bubbling away behind the scenes. As far as confirmed events right now, in November we’re touring with Saxon in England and playing the Hard Rock Hell festival in Wales. We’ll also have a couple of dates in Northern Ireland during November and December, including one fairly major event that isn’t announced just yet. 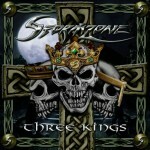 We’ll have all the details on our Facebook page and official website at www.stormzone.tv as soon as it is! Harv is fantastic at writing a song that tells a story from start to finish, but leaves it open to the listeners own interpretation. For example, tracks such as “Stone Heart” and “Beware In Time” where the lyrics will touch you (at least they touch me!) but no two people will agree on the exact subject matter of the lyrics. There are other songs where the meaning is comparatively clear cut, such as “The Pain Inside”, but it can still be applied across a wide range of scenarios. It can apply equally to a conflict that killed many people over a long period of time, or to a very personal trauma that you yourself might have endured. Either way, the overarching positive message will still be meaningful and hopefully give you the same kind of goosebumps it gives me. The other very special talent that Harv has is when one of the guys comes up with a working title for a piece of music, he will be able to take that title, write the full song, with a backstory, all the vocal lines and harmonies, and have it demoed overnight. Even when presented with a cryptic title like “The Pass Loning”, the challenge was accepted and he knocked it out of the park! I feel an incredibly strong personal attachment to each song, and I could tell you about the origins and creator of each individual riff, progression, lick, fill, solo with what appears to be some sort of intelligent masterplan but I’ll save that for interviews with guitar magazines as only other guitarists care about that sort of thing! 3. You’ve signed with Metal Nations for the new album. How did this come about and who came up with the idea of selling 100 copies of the new album via pre-release on EBay? A good idea that may stop illegal streaming/ downloads of the new album? We had worked with Metal Nations previously, and have a great relationship with the team there. We’re also good friends with a few of the other bands on the Metal Nations roster, and we know the work ethic of everyone involved, so it wasn’t a difficult choice for us when it came to signing the contracts. It was entirely their idea to have the pre-release sale and it proved really quite popular. I’m not sure about it stopping the pirates, that’s pretty much just a fact of life these days. On the day the album was released, twitter just filled up with links to sites where you could download it! Sure, it’s annoying from a personal point of view, but there is an argument that it’ll get the music out to people who otherwise may not have heard it, and they might choose to go buy the album, or come to a show, or buy merchandise. It’s a tricky one though, I’m not sure there is a right answer – someone somewhere may have crunched the numbers and found out if it’s beneficial. I’d need a bigger brain (and calculator!) to even start working that one out! 4. This album is possibly your heaviest, yet at the same time most melodic since the debut album. Do you and the band have an idea where you would like to take each album sound wise each time or does the music develop naturally? To me, it seems to be more of an “evolution, not revolution” thing with each album. We basically never stop writing songs so the last song written for Death Dealer isn’t going to be (stylistically speaking) a million miles from the first song written for Zero To Rage and so on. The production has also evolved with each album though, which is probably a big determining factor on the “heaviness” and melodic fronts. Getting better sounds with better gear, having more experience in the studio (speaking for myself, as I engineer, mix and master our albums! ), and generally being smarter about structures and textures, and emphasising the right things at the right time. We did make a conscious effort on this album to make the songs a bit more concise and compact, even moreso than we did on Zero To Rage. We asked a few friends of the band to critique our early demos and we were pretty close to where we needed to be, but still had to take it a little further. Sometimes you just need a nudge to have faith in your own convictions and break away from the tried and tested way of doing things. Basically, don’t play it four times when once will do! 5. How did the recent Helfest appearance go? You have Hard Rock Hell coming up later this year too. Do you change the setlist much for a festival show and are festivals a good way of increasing CD & merchandise sales? I said earlier than Stormzone has always been quite Europe-focused, but I meant that in a way that excludes our own country! Although we’ve always had fans here, the reception on the continent had always been just that much bigger and warmer, so we (not intentionally) tended not to play at home very often. After a few roaringly successful gigs with Seb Bach and Little Angels, we thought (but weren’t sure) our profile at home had risen to same sort of levels as in Europe. Helfast came around and we still weren’t quite sure what to expect – when we walked on stage to a huge crowd and a cheer that nearly took the roof off, we absolutely knew for sure! A home-town gig is always a little special but this was truly heart-warming for all of us. An emotional day, to say the least. The setlist for a festival might change depending on where you are on the bill. We have four albums worth of material to pick and choose from so it gets quite difficult to make sure we get all the fan favourites in, as well as some new tracks, and make sure we hit our mark as far as timing goes etc. On a regular headline gig it’s nice to get a little bit of a journey going – kick off with some big hitters to get everyone warmed up, keep that going for a while before maybe dropping in one or two softer tracks, and a couple of our “slow and heavy” numbers. And of course, we have to get everyone fired up at the end for the omnipresent Death Dealer and Legend Carries On. We are contractually obliged to close with those two tracks or certain members of the band just won’t do the gig. Kidding. Sort of. If we’re given a thirty minute timeslot at a bigger festival, we’ll typically give them the five or six biggest hitters – keep it simple! Festivals are great for selling merchandise – especially when the beer is flowing and people aren’t feeling quite so thrifty! 6. What has it been like working with some of the NWOBHM legends like Neal Kaye and Jess Cox? Guys like Neal and Jess have been there and done it all, and the advice they impart is invaluable. Recommendations only carry the weight of person making them, so hopefully having legends like that on our team lends a certain amount of credibility to the band. They’re also hugely entertaining with a massive catalogue of tales from the road, so if you’re going to be stuck in a studio or on a tour bus with someone, they’re pretty much ideal! 7. Being based in Belfast do you feel a little cut off from the rock and metal scene, particularly when it comes to playing gigs or getting say one-off support slots at gigs in the bigger cities like London and Birmingham? Is there a good rock scene at the moment in Belfast and Northern Ireland in general? We are right on the edge of Europe so you are right that it has made things slightly tricky as far as short trips to the UK mainland or the continent. That situation is beginning to change, as we have made contacts with bands such as Agincourt, who we are able to share gear with, making the whole thing just that much easier. Travelling light is the key – a few years back we played a show where the drummer from a huge band you would definitely know showed up with his kick pedals wrapped in a bath towel! The sooner we have multi-FX processors built right into our guitars that transmit wirelessly straight to the PA, the better!!! The scene at home is virtually exploding with talent. Economics raises its ugly head, however, in that it’s even more difficult to get paying customers through the door at a time when people are having to watch their budgets very carefully. More and more of the bands are turning to heavily promoting their music online and we’re seeing even relatively new bands releasing slick looking videos for demo tracks. It’s impressive, and you can only hope that when things start to right themselves, the venues will be bursting with people again. 8. If given the chance who would you like to tour with ideally and why? Hardest question ever!!! There are bands I would love to tour with purely because I’d love to meet my idols, but I suppose the “sensible” answer would be a band that gives us maximum exposure to fans who enjoy our style of music. Who that might be is wide open, but there are a few massive NWOBHM bands that would fit the bill. Having said that, we have previously toured with bands that wouldn’t necessarily be in the same genre as Stormzone, and we’ve still gone down a storm. Pun intended. There are bands that you just couldn’t turn down for any sort of tour opportunity – any of the ones your mum would know the name of, basically! 9. What do you all enjoy doing in your spare time away from music? Extreme sports, skydiving, lion-taming, the usual sort of stuff… No one is falling for it, I can tell! It’s probably a bit of a cliché, but none of us get that much time away from music. What little time we do get might be spent doing family stuff, some of the guys are into motorbikes, football, DIY etc. Our drummer, Davy Bates, gets involved with a lot of charity work where he teaches drumming to children. Learning about rhythm, counting and concentration and everything else that goes along with that can be a huge benefit to some of these kids, and he doesn’t get enough credit for all his efforts, in my opinion! We’ve been totally blown away by the response to the new album, with thousands of new friends on our social media sites. Speaking to people after shows and by email, we probably don’t get across very well how much it means to us that they support the band in the way they do. If we could, we’d give them all a big man-hug!!! This entry was posted in All Posts, INTERVIEWS, Interviews/10 Questions and tagged 'Harv' Harbinson, classic metal, Hard Rock Hell, Jess Cox, metal, Neal Kaye, NWOBHM, Steve Moore, Stormzone, Three Kings. Bookmark the permalink.